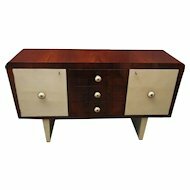 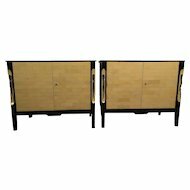 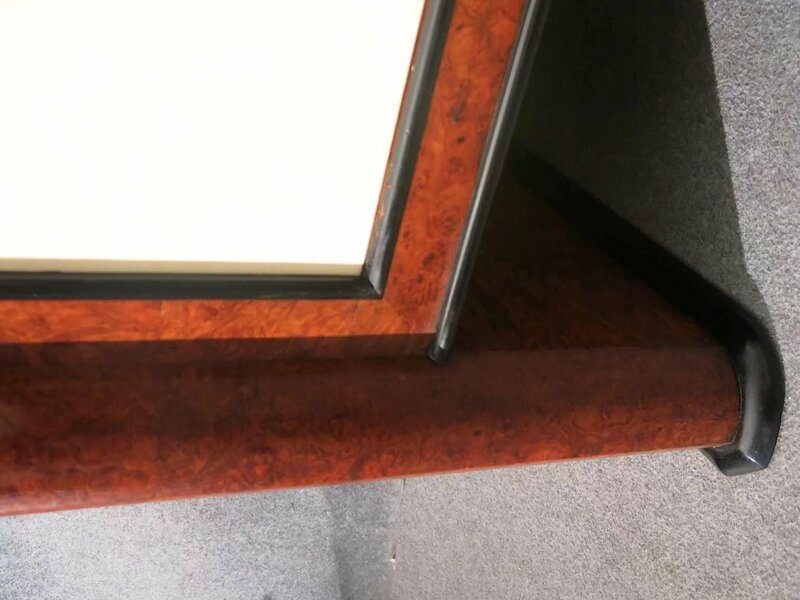 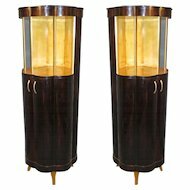 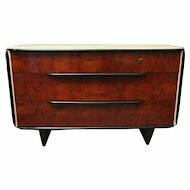 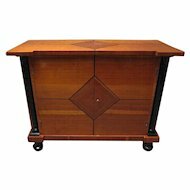 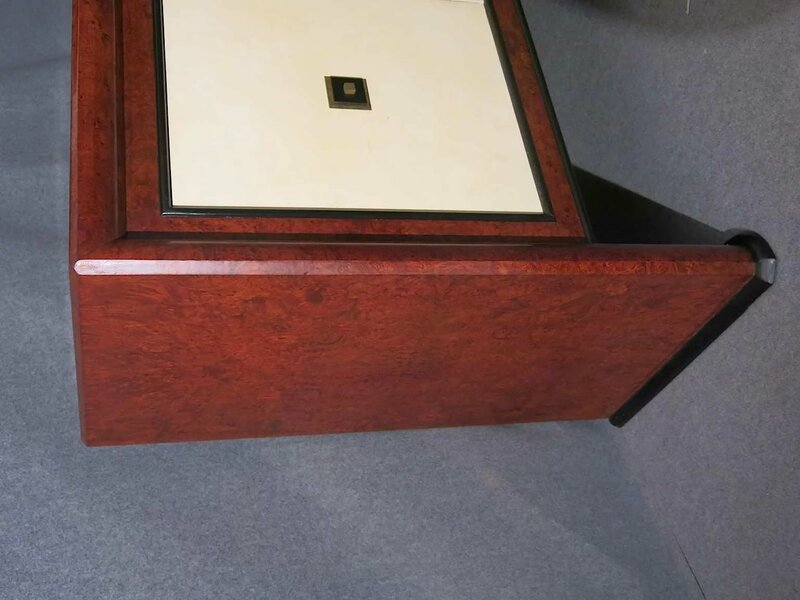 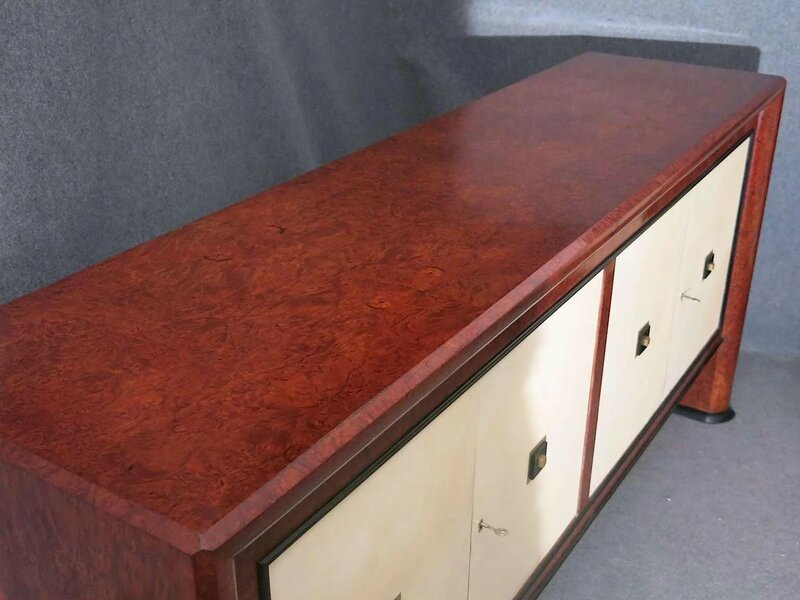 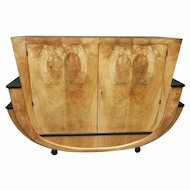 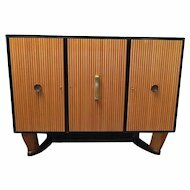 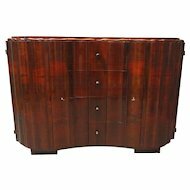 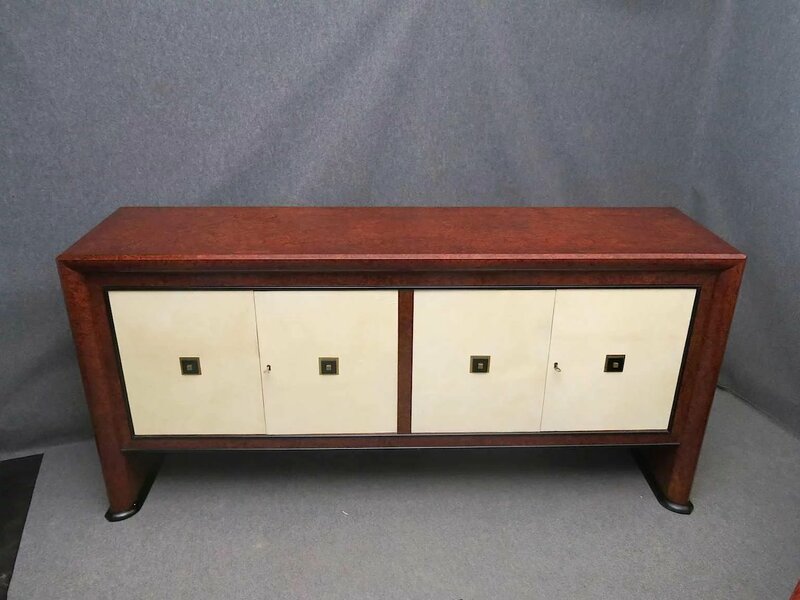 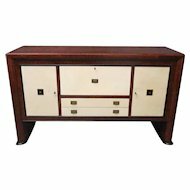 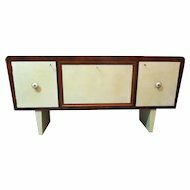 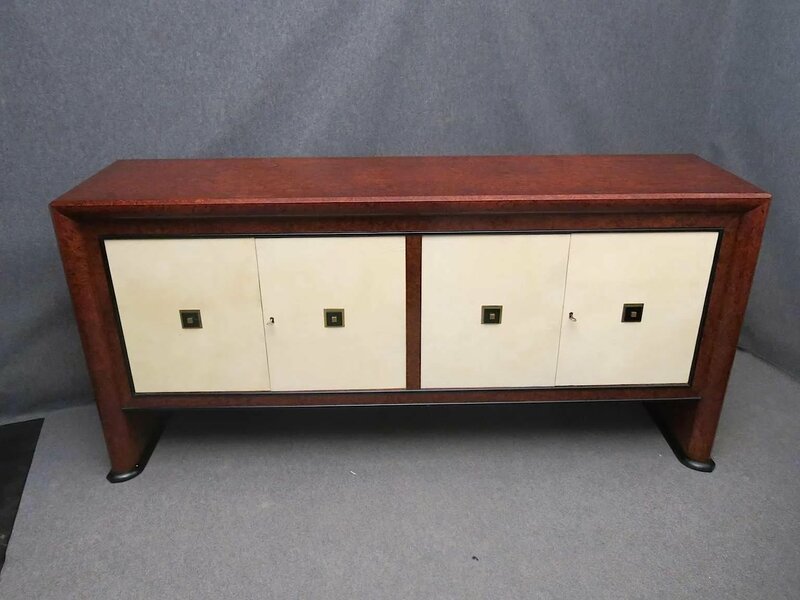 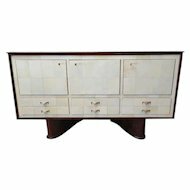 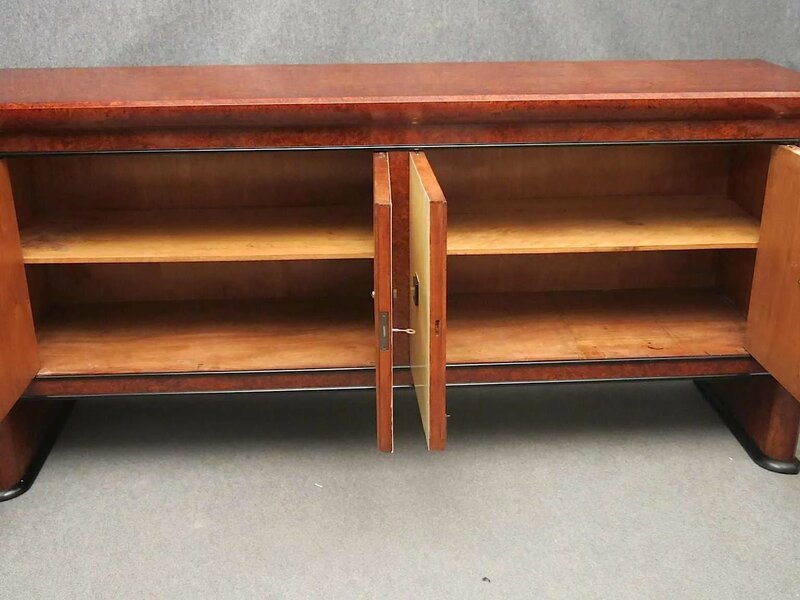 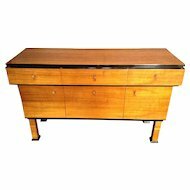 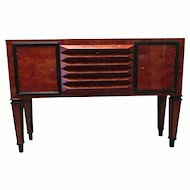 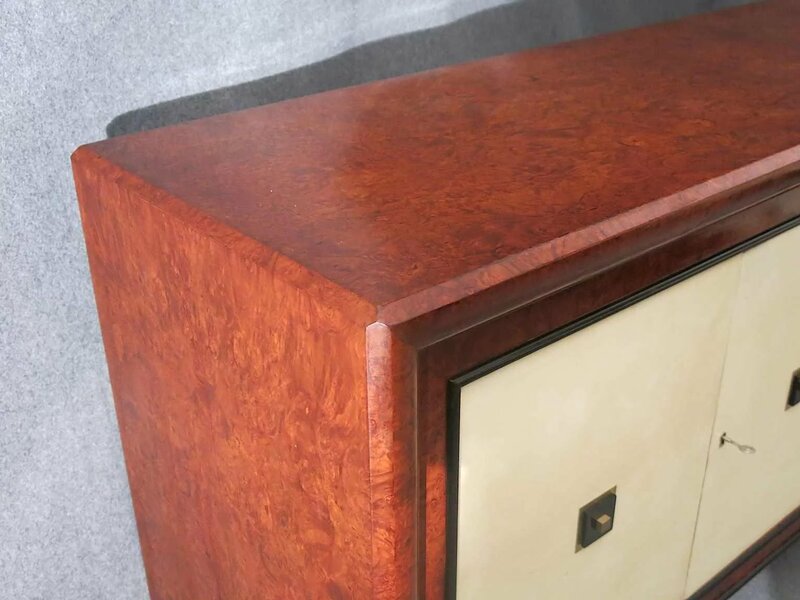 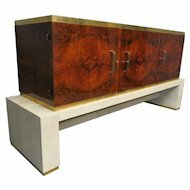 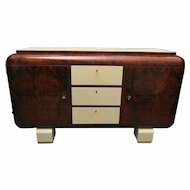 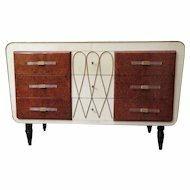 Rectilinear Art Deco Italian Sideboard; veneered in maple wood with doors in parchment. 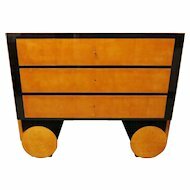 The handles are in black glass and adorned with platelets of brass. 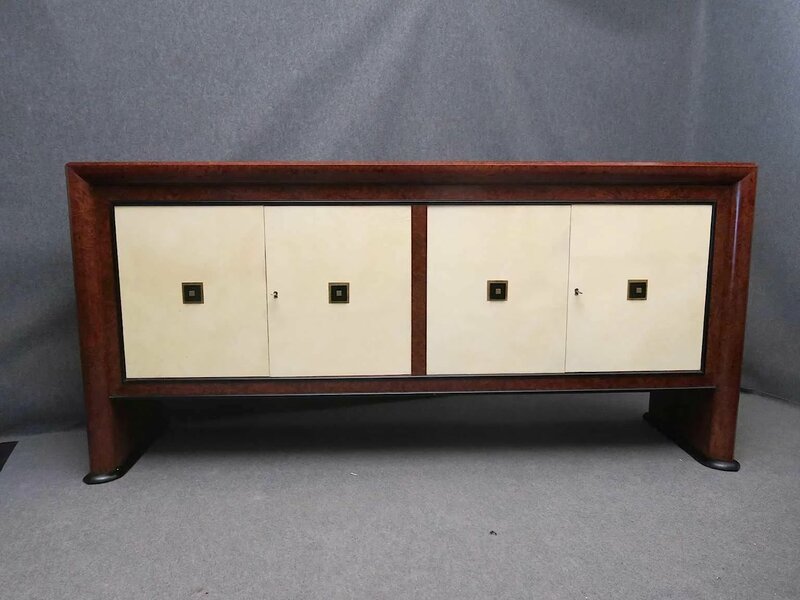 Very long with spacious interior for ample storage.